It all started in Alton, Illinois. In 1986 Tom Hennekes opened his first dealership and named it Alton European Imports. In less than a decade, the dealership grew and he moved it to Downtown St. Louis. In 1997 the company moved to Ellisville as Tri-Star Imports. Then with the resurgence and energy in our great city, we moved to our current location at the corner of Highway 40 and Hampton Avenue. 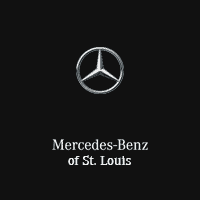 We are now Mercedes-Benz of St. Louis. Our State of the Art facility is 54,000 square feet and encompasses 3 floors. Our showroom is stunning and showcases 20 Mercedes-Benz models. Our service department has 24 bays with a 4 lane climate controlled service drive to keep our customers comfortable. We have 69 amazing employees that are dedicated and do great work in the community. We have a wide variety of new Mercedes-Benz vehicles for the Edwardsville, Collinsville, Clayton. and Ladue areas. Whether it’s a sedan, coupe, cabriolet, SUV, or van, there is an ideal Mercedes-Benz for everyone. We know we have your dream car, and you’ll find it on our lot. With such models as the Mercedes-Benz C-Class, E-Class, S-Class, G-Class, and GLA, we know we have something for everybody. We know that not everyone can buy a Mercedes-Benz all at once. Fortunately, no one has to. Our finance center makes auto finance in St. Louis easy. Our team of finance experts will help find the best payment plan for you. There is no greater feeling than the first time you roll off our lot in your new Mercedes-Benz. In order to keep your Mercedes-Benz running that smoothly, it is important to get it regularly serviced. We offer the finest car service in St. Louis. We use only genuine OEM Mercedes-Benz parts on your vehicle; you will never have to worry about shoddy craftsmanship here. We know you have a busy schedule, and can’t afford to spend all day in our service center. That’s why we offer our complimentary shuttle service; just because your vehicle is being serviced doesn’t mean that you should put your life on hold. Again, if you’re looking to own one of the finest luxury vehicles on the market, it has never been easier. Just give us a call at (314) 647-2400, or come visit us here at our Mercedes-Benz Dealership in St. Louis, MO. We are happy to assist in your auto adventure.